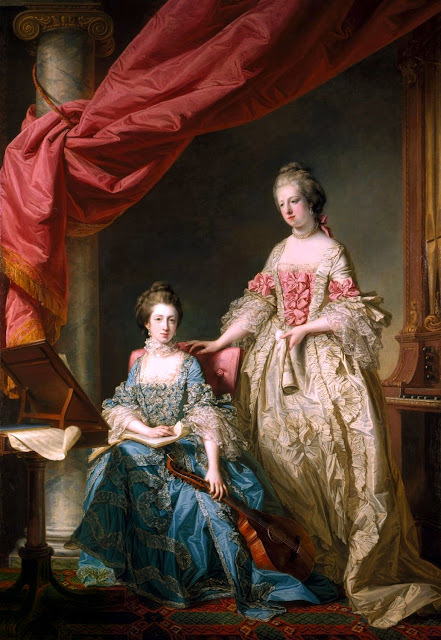 I've always loved this portrait of Princesses Louisa and Caroline, two of George III's younger sisters. And I've always thought it would be fun to make Caroline's cream and pink sacque. 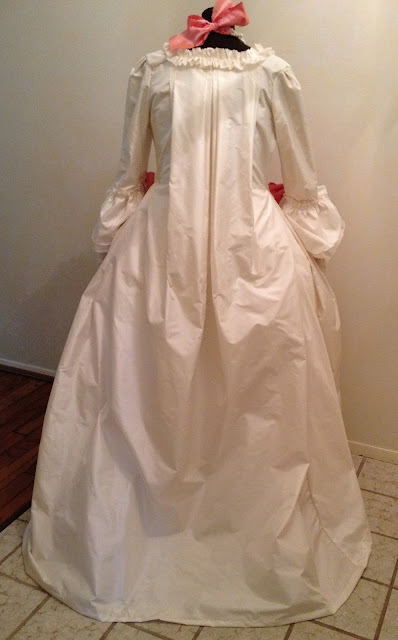 I was able to find cream silk taffeta for a good price on ebay, I had pink silk taffeta which is possibly a little darker than the portrait, but was a decent match. I got the double strand of pearls on ebay and added a ribbon. I used lace/net that was in my stash for the sleeve flounces. Again, not a perfect match, but it was the best I had. And I liked the aged feel of the trims, some of which are vintage. 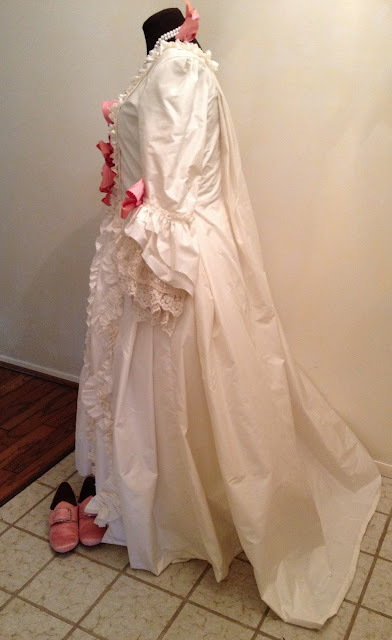 I have dyed American Duchess silk shoes that go with this gown perfectly, too, so I'm excited to wear them with the gown at Dress U! LOVE this! You are so inspiring. I'm getting ready to make my first sacque. I'm scared to death, but yours gives me courage! It's so so so gorgeous! 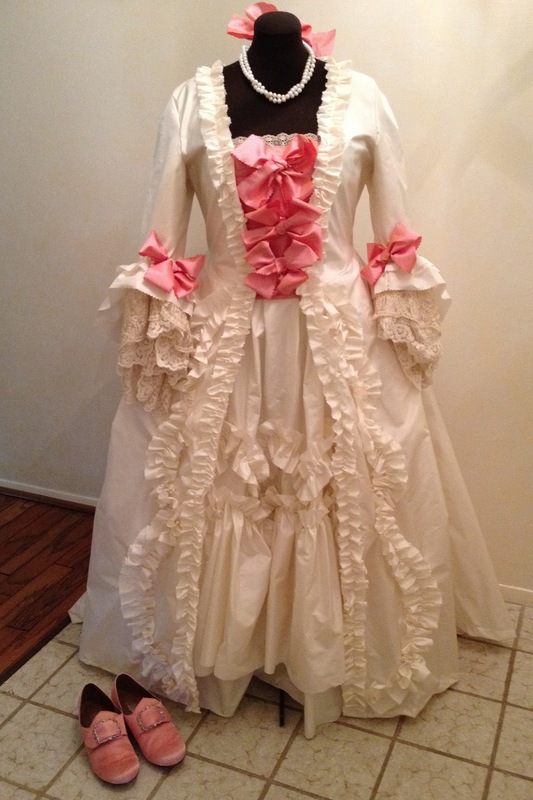 I love the ivory and pink combination. And I again used my adaptation of Simplicity 3637 as a bodice base. And I referred to my first making-of sacque page as a reminder to myself too! I'm sure yours will be gorgeous! Thank you! I'm liking the color scheme myself!